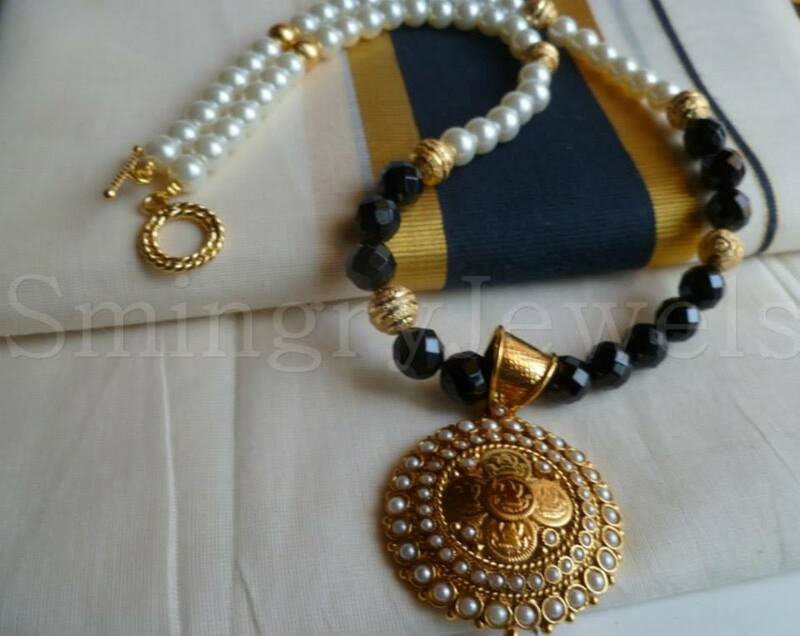 white pearl and antique golden metal bead neck set with antique pendant. Specially handpicked for simngry jewels. *Colours may vary a little from the photograph.